After you’ve checked into MGM Grand, check out the Lobby Bar. Located just steps away from the main entrance, this casual bar has an extensive cocktail list of classic and trendy drinks. 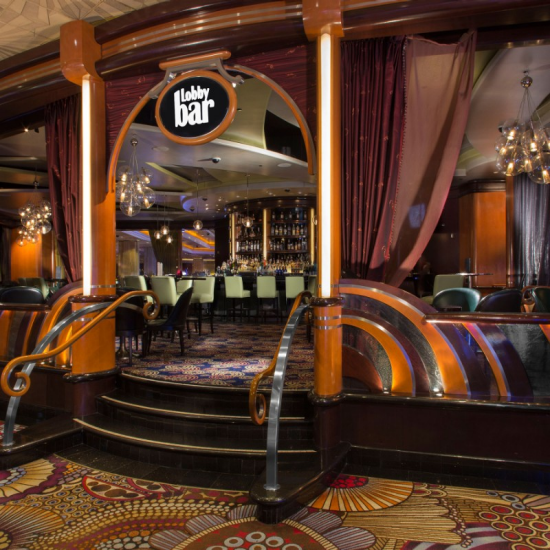 Begin walking through the Casino Floor and the Lobby Bar will be on your right. Walk toward the Race and Sports Book, past The Buffet and Jabbawockeez Theater. Bear right when you are in front of Avenue Café and The Lobby Bar will be on your left. Guests must be 21 to enter.